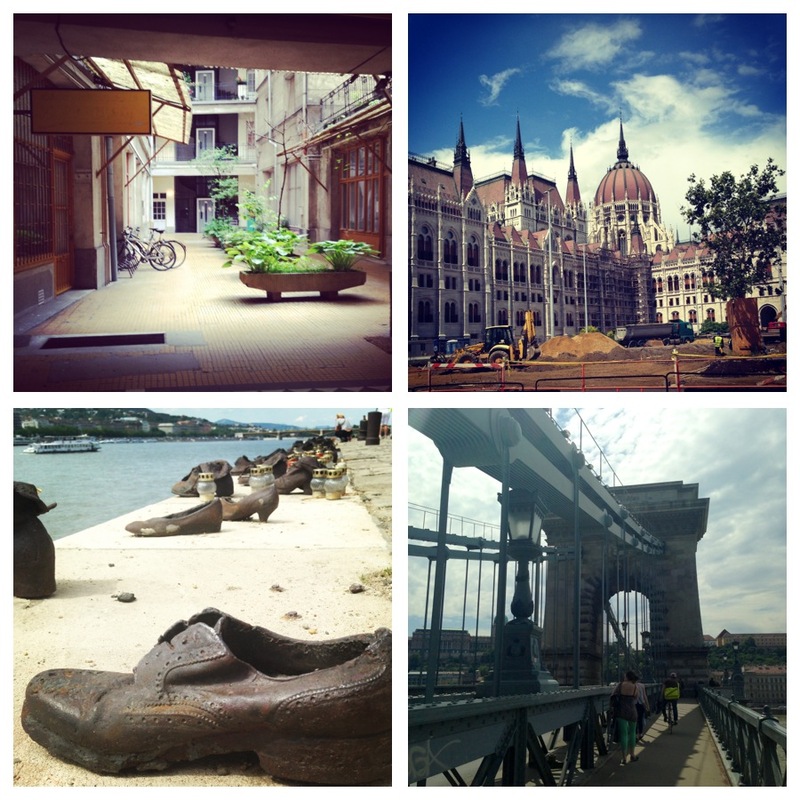 On the third leg of our interrailing trip, we arrived in beautiful Budapest. 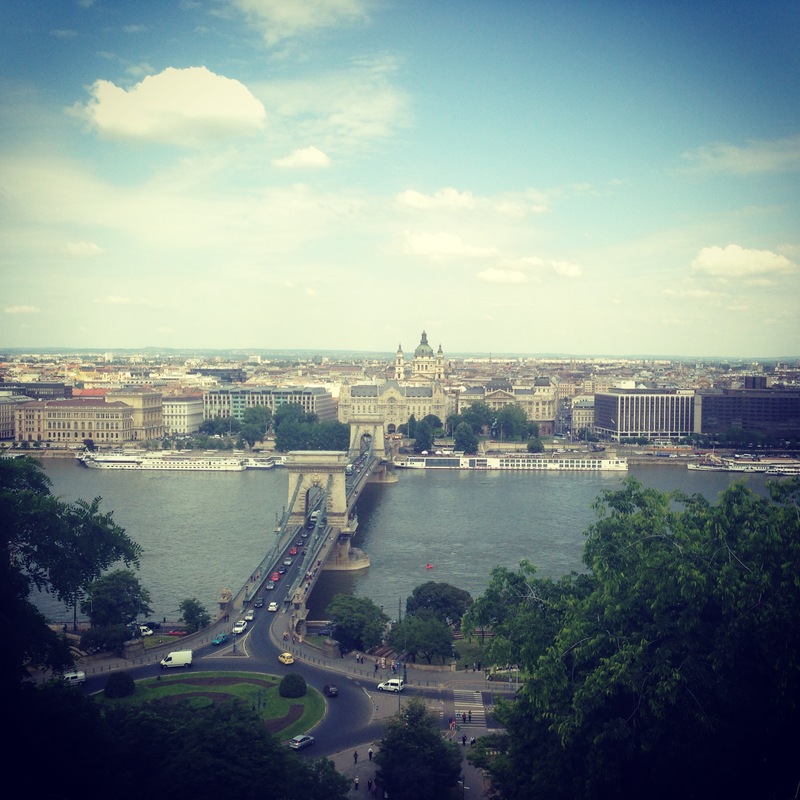 The Hungarian capital has come a long way from its communist past. Today, Budapest has a carefree, youthful vibe throughout the day and a pulsing, underground nightlife that will keep any 20-something happy for the weekend. The sun made its first appearance as we arrived by train into Keleti station and after checking in (we were due to stay at The Maverick Hostel, but because of a booking error, they bumped us up to a private apartment around the corner!) we decided to take a stroll along the Danube. The city is split in two, with Pest being the area east of the river which is known for being the more metropolitan of the two, while Buda lies to the west and has a more traditional and historic landscape. As we were staying in Pest, we walked along the Pest side of the river taking in the sights as we went. One of the first landmarks we came across was the Shoes on the Danube. It acts as a memorial for victims who were shot into the icy river by the Arrow Cross army in 1944. There’s 60 pairs of shoes dotted along the river in remembrance and it was a pretty moving way to pay respects to the lives lost. The Parliament Building is on this side of the river too. Unfortunately, it was covered up with scaffolding and taped off while we were there but apparently there are free guided tours for anyone from the European Union and judging by the outside, it would be beautiful inside. Of course, you’re going to want to cross over the river at some point and if you can, take the Chain Bridge. It’s the oldest and probably the most recognised bridge in Budapest and at night, twinkling floodlights illuminate the bridge and the flowing river below. It was definitely one of my favourite landmarks. From L-R: Our apartment block, The Parliament Building, Shoes on the Danube and the Chain Bridge. Once in Buda, make your way straight to the castle. For about £7 we took the funicular to the top of what’s known as Castle Hill – believe me, steps were not an option after walking what felt like the length of the city. Once at the top, you have the most fantastic vista across the city, and you can take in all the sights with a bird’s eye view. We wandered around the courtyard for a while, admiring the fountains and huge lion statues. There’s a little café and restaurant outside too which would make the most fantastic backdrop for a special lunch. 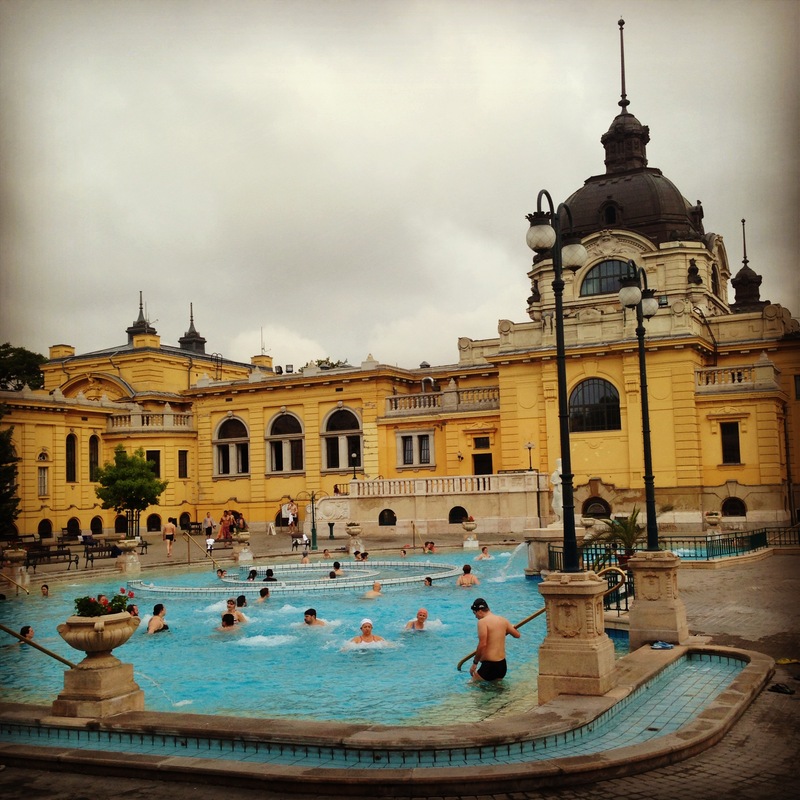 Budapest is also famous for its thermal baths which are dotted all over the city. We decided to visit the Szechenyi Bath and Spa and we were told it was the first thermal bath on the Pest side and was built in 1881. With 15 different pools to wander around including two outdoor pools that are heated to 38 degrees, it’s well worth a visit. When we visited, the clouds had covered over the blue skies and we were more than a little chilly nipping around in our bikinis. But as soon as you step into the hot water, you never want to get out. Because the hot spring water contains minerals such as calcium, magnesium, sodium and sulphates, it is meant to be a great natural treatment for arthritis and other degenerative joint pains. We only needed to hear it was good for you to be convinced to stay all afternoon and turn into wrinkle prunes in the water. 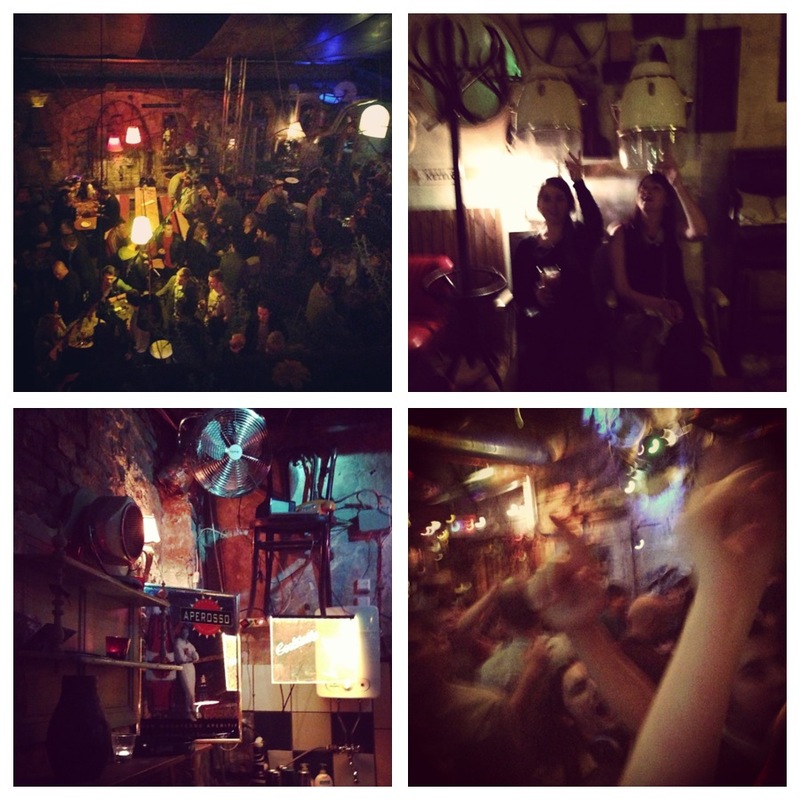 Of course, I can’t finish off this post without an ode to Budapest’s nightlife. We found ourselves in Szimpla Bar under the recommendation of a US student we chatted to at the Baths. Think of London’s Shoreditch and then multiply the cool factor by 100. It is the funkiest, quirkiest place I have ever been in. Bicycles hang from the ceiling, baths serve as seats, there’s an outdoor cinema and a room with just walls you can write on. There’s even a place that you can get your hair done! We spent a good half hour wandering around, finding secret rooms with a cocktail in hand chatting to both locals and other tourists who had stumbled upon this quirky gem of a bar. Szimpla definitely know how to do quirky! I don’t think I even scratched the surface of what Budapest has to offer, and as we waved goodbye on our next night train journey, I knew I’d be booking a trip back very soon.